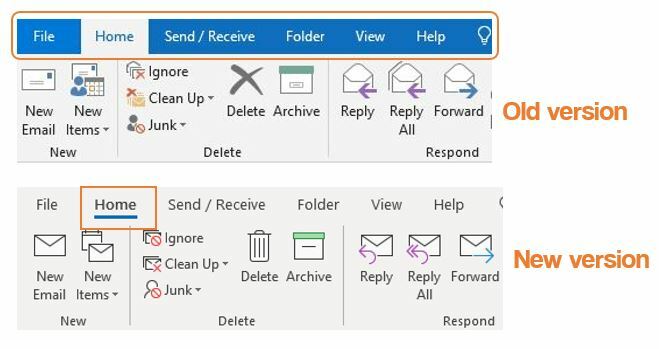 Outlook have started rolling out changes to the look and feel of their toolbar. The functionality remains the same, but the icons have been updated and the blue ribbon has disappeared in favour of a grey background. When you select a tab, it now appears as being underlined, rather than standing out against the blue ribbon. So far, we’re liking the new updates – it’s cleaner and less busy that the original version. What do you think? Let us know!